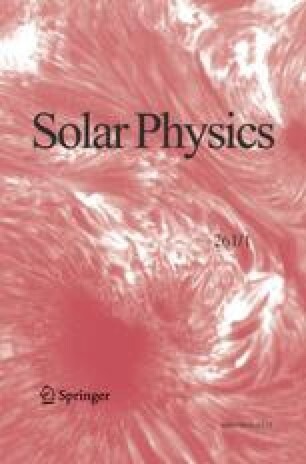 Characterization of the three-dimensional structure of solar transients using incomplete plane of sky data is a difficult problem whose solutions have potential for societal benefit in terms of space weather applications. In this paper transients are characterized in three dimensions by means of conic coronal mass ejection (CME) approximation. A novel method for the automatic determination of cone model parameters from observed halo CMEs is introduced. The method uses both standard image processing techniques to extract the CME mass from white-light coronagraph images and a novel inversion routine providing the final cone parameters. A bootstrap technique is used to provide model parameter distributions. When combined with heliospheric modeling, the cone model parameter distributions will provide direct means for ensemble predictions of transient propagation in the heliosphere. An initial validation of the automatic method is carried by comparison to manually determined cone model parameters. It is shown using 14 halo CME events that there is reasonable agreement, especially between the heliocentric locations of the cones derived with the two methods. It is argued that both the heliocentric locations and the opening half-angles of the automatically determined cones may be more realistic than those obtained from the manual analysis.